Do the research, talk with the jetting experts & know the most important information before buying your jetter! HotJet’s Sewer Jetter line up of Trailer Mounted Jetters are the highest quality of Sewer Jetter equipment available! We manufacture both hot and cold water Sewer Jetter Trailers and can custom build a Trailer Mounted Sewer Jetter or Hydro Jetter to meet your exact needs. We also specialize in the manufacturing of Mobile Cart Jetters, Drain Jetters, Truck and Skid Mounted Sewer Jetters. Call one of our experienced Sewer Jetter experts today for more information! Investing in a trailer mounted sewer jetter for your plumbing or services business requires a lot of homework and study. You should always take great care into how and where you purchase your sewer jetter. 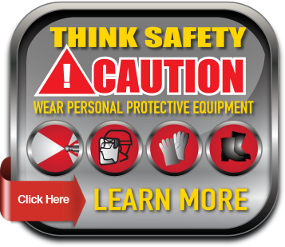 Here are seven things to know before you purchase your drain line jetting equipment. 1. BUYING FROM A P.O. BOX OR WEB ONLY OPERATION!! This is obvious with most any purchase, especially when buying expensive trailer mounted jetting equipment. A company with a P O Box has very little investment or if they are a “web only” operation. Where will they be tomorrow, come warranty time? You want to deal with a company that has experience with jetter equipment and parts and service personnel. Before you buy your trailer jetter, ask yourself the question: Will this company take care of my future needs? If they didn’t build it – will they know how to fix it? 2. DON’T UNDERSIZE OR OVERSIZE YOUR JETTING EQUIPMENT!! If you are using your Jetter equipment to clean storm drains, don’t buy a “small jetter” to do the job and if you need to clean sewers / laterals you don’t need a monster trailer jetter! 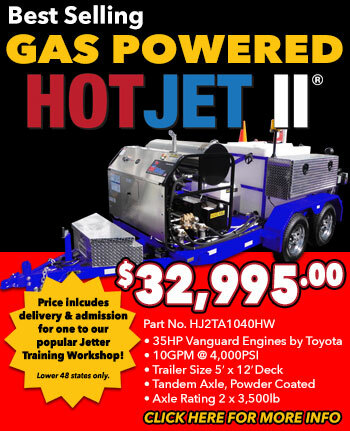 Make sure you purchase a jetter that will fit your needs and application. We’ve heard our share of disaster stories where a service tech has destroyed plumbing systems or flooded the customer out with the monster drain line jetter machines. Granted the “monster jetters” have their place – but if you are looking to clean drain lines and sewers rather than storm drains, you don’t need the monster jetter units! Are franchised jetter dealers / national brands the best??? Is Factory Direct the best way to buy??? When you buy from Hot Jet, we build our trailer jetters with components (motor, pump, etc) that are non-proprietary, meaning they are not private labeled. Our components are readily available in the market, therefore you can obtain service and parts nearly anywhere, rather than being “tied-up” to a dealer. This will save you a ton of money in the long run! The bottom line is: we sell our jetting trailers factory direct – not through a dealer / franchised company paying franchise fees or offering one line of proprietary jetting equipment selling through a high commission sales staff. 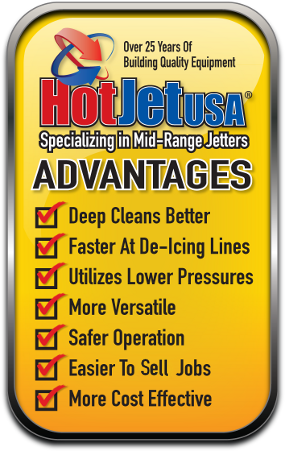 We are a US based / owned company and when you buy your jetter trailer from Hot Jet, you deal directly with the factory and distributor! 4. BUY A MACHINE THAT IS ENGINEERED FOR EASY SERVICE!! 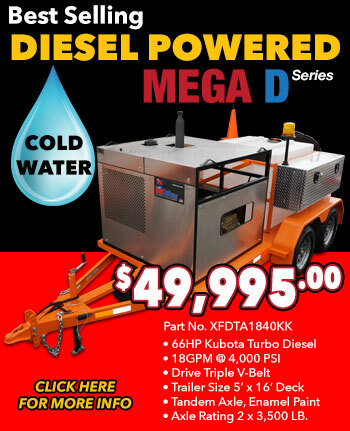 If your sewer jetter trailer is not engineered for easy service – don’t buy it! Most jetters on the market are poorly engineered and over complicated. They might look fancy, buy what about changing oil on the motor and pump? Rebuilding a pump? Changing belts? Every jetter is going to need service. Make sure you can easily service your jetter! Beware of the poor jetter engineering or over engineering. 5. 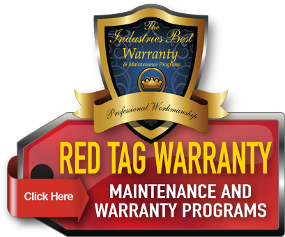 KNOW THE WARRANTY AND WHERE THE WARRANTY, AND SERVICE LOCATIONS ARE!! Ask your dealer for a written warranty and locations of service centers. 6. CHEAPEST IS NOT ALWAYS THE BEST!! QUALITY PAYS!! Don’t buy a cheap jetter if you want quality! Take a look at the quality of our trailer mounted sewer jetters – NOTHING COMPARES! From our trailer up – our quality drain and sewer jetters give the Best Return on Investment. 7. DOES THE COMPANY OFFER “THE COMPLETE PACKAGE”?? Quality Jetting Equipment, Full Jetter Operational Training, and Comprehensive Jetter Marketing Packages with a professional jetter training class?? Also check out: 7 Things to Look For in a Jetter! Know the difference! 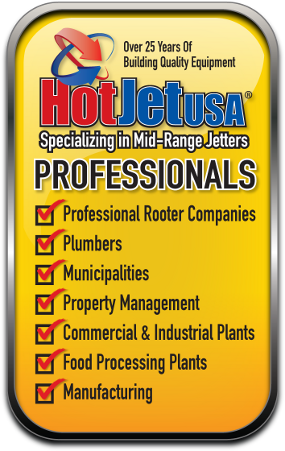 HotJet USA is THE manufacturer of sewer jetter trailers and trailer mounted drain line jetters and for over 25 years, we’ve specialized in hydro jetters and diesel sewer jetters either skid, truck or trailer mounted. We also manufacture hot water trailer mounted sewer jetter systems and have a new line of cart drain and sewer jetters and propane drain and sewer jetters. Call today for expert sewer jetter equipment advice and ask about our very popular jetter training class!